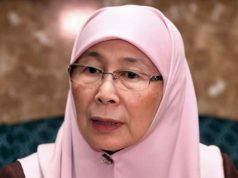 SEREMBAN — Datuk Seri Dr Wan Azizah Wan Ismail has pointed out that the East Coast Railway Line (ECRL) project that has been revived is not a bait for the by-election for the Rantau State Constituency. The Deputy Prime Minister said the review of the project including the route realignment for the benefit of Negeri Sembilan had been made for so long. “The realignment was made so that it would be more feasible and more effective…ECRL aims to bring goods not goodies (the new alignment and construction), it is more realistic. “Not goodies (because) we are doing it for the by-election, but to revive the national economy,” she told reporters after paying a visit to senior citizen, Miri Abdul Manan, 95, who is among the oldest voter for the by-election. 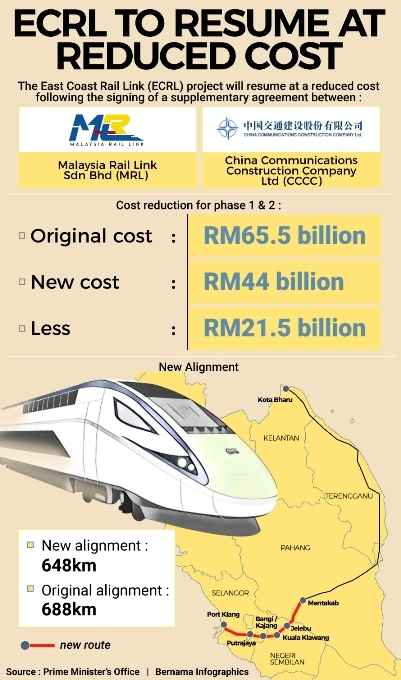 The revival of the ECRL project at a lower cost was announced following the signing of the supplemental agreement (SA) between Malaysia Rail Link Sdn Bhd (MRL) and China Communications Construction Company Ltd (CCCC). The ECRL Phase 1 and 2 construction cost is now reduced to RM44 billion, a reduction of RM21.5 billion from the original cost of RM65.5 billion. The Prime Minister’s Special Representative Tun Daim Zainuddin, who led the negotiations, was reported to have said that the construction of the ECRL would see a new alignment that is Kota Bharu-Mentakab-Kuala Kelawang-Bangi/Kajang-Putrajaya and subsequently Port Klang. The ECRL project was initiated by the Barisan Nasional (BN) government previously and was suspended last year by the Pakatan Harapan (PH) government due to the high cost involved. Meanwhile, Dr Wan Azizah who is also PH President, in her brief speech at the gathering with residents of Kampung Pasir Linsum said it was not impossible for PH to wrest back the Rantau state seat from the BN in the by-election tomorrow. 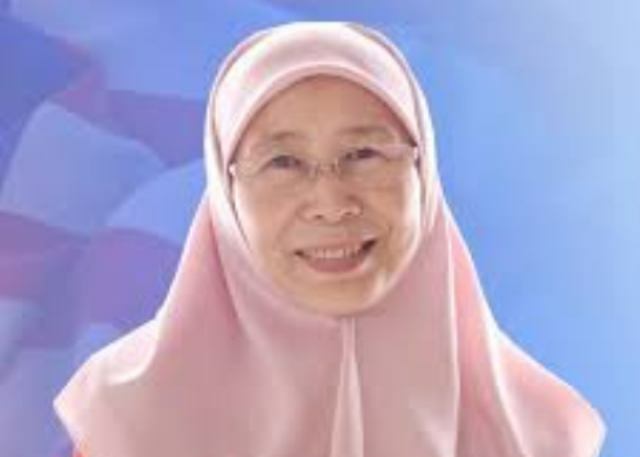 “Don’t forget that I too did not expect to become the Deputy Prime Minister, thus we may win in the by-election Insya Allah, so we have to work hard,”she said. In this regard, she urged the voters in Rantau to support and give their trust to the PH candidate Dr S. Streram to be the elected representative for the constituency. The Rantau by-election will be a four-cornered fight between the PH candidate Dr S. Streram, the BN candidate Datuk Seri Mohamad Hasan and two independent candidates namely housewife R.Malarvizhi and former lecturer Mohd Nor Yassin. Earlier, Dr Wan Azizah who is also the Minister of Women, Family and Community Development, visited the houses of several other senior citizens in Rantau. Meanwhile in KUANTAN, Pahang Menteri Besar Datuk Seri Wan Rosdy Wan Ismail said the state government was happy with the decision of the federal government to revive the ECRL project. 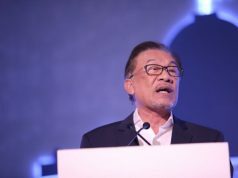 He said this was because in Pahang, the project was already between 13 and 14 per cent built when it was stopped last year, which was described as a waste if it was not continued. “Work on the acquisition of land involving private land was already at the stage of being processed by the office of the State Legal Advisor which was handling it,”he said in a statement today. In SEREMBAN, the State Exco for Investment, Industry, Entrepreneurship, Education and Human Capital, Dr Mohamad Rafie Ab Malek said the revival was a good move by the government and could help in the plan for economic growth in the state. Previous articleஇந்தோனிசியா: 6.8 ரிக்டர் அளவிலான நிலநடுக்கம், சுனாமி எச்சரிக்கை விடுக்கப்பட்டது!